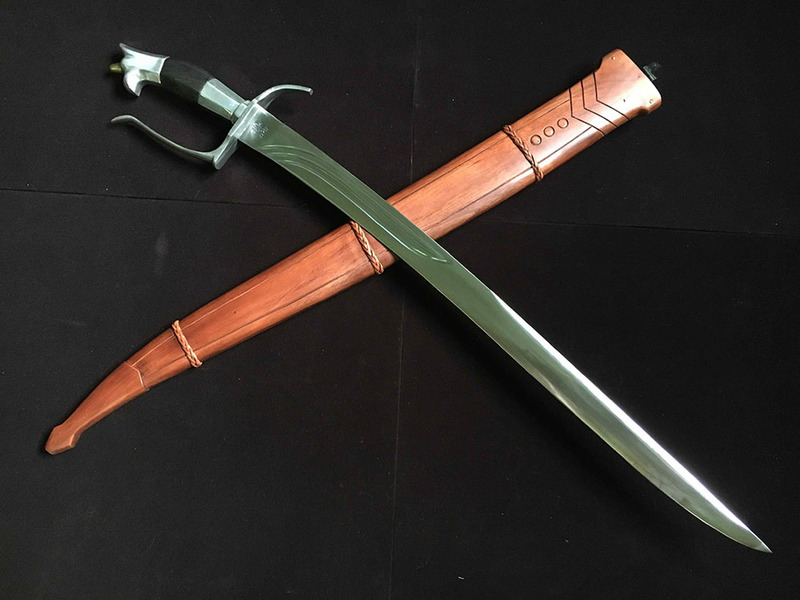 A version of the *Dungon Bolo is commonly known for its rice-leaf blade shape, called “Natirad/Pimmagay- of the ilocanos and /dahong palay-of the tagalog” This shape is commonly used among Katipunan bolos to cut and thrust in largo range. 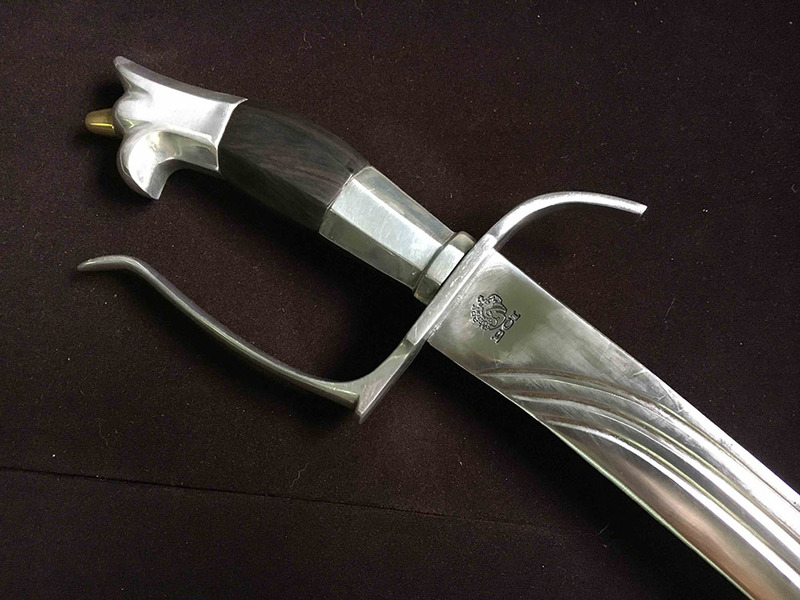 The blade design is similar to the Turkish Yataghan bolo. *The Dungon Bolo is named after a place in Northern Luzon between La Union, Benguet, and Pangasinan where Bago tribes had its own blacksmithing industry also. This blade is distinguishable by the fittings in the handle, usually cast in aluminum alloys and the centered grip made of exotic woods like ad-daan , ipil-ipil, or kamagong. BLADE: 5160 Carbon steel, selective tempered for machete hardness, grooves signifies the “BATEK/BATIK”(ancient marks/Tatoos Of Maharlikan(filipino) Warrior. HANDLE: Parts are beautifully cast aluminum alloy for the guard, pommel and ferrule, with kamagong or ebony inserted in mid section of the grip to comfortably grip it in daily use. 5160 Spring Steel Sharpened Blade. Exotic Kamagong Ebony Wood Handle and Mahogany Scabbard. Hand cast aluminum alloy Fittings. Premium Quality Construction.